Rhode Island may be the smallest state in the United States, but it is full of natural wonder and awe-inspiring scenery. The tiny state consists of two main regions, the eastern lowlands and the and the western uplands. The lowlands of Narragansett Bay consist of more than 30 picturesque islands full of charming fishing villages and historic lighthouses. With over 400 miles of coastline, there are hundreds of options for water sports and recreation. Rhode Island’s snowy winters make it a great place for winter sports as well such as, cross-country skiing, sledding or hiking a snow-powdered trail. In the fall, the state erupts into vibrant color as the foliage undergoes its seasonal change, a natural draw for photographers and artists. This trail takes visitors on an educational tour of landmarks around the historic city of Providence, Rhode Island and gives a unique look into city’s incredible past. Founder of Rhode Island and champion of religious freedom, Roger Williams is commemorated in this national park and gardens. This peninsula between the Sakonnet River and Rhode Island Sound offers trails for wildlife watching, photography, educational resources and fishing. With hundreds of miles of shoreline, rich history and undeniable scenic beauty, Rhode Island is a wonderful place to hold adult retreats and youth camps. Outdoor recreation is unlimited and there are exciting options year-round. Though small in size, Rhode Island is definitely big in fun and thrilling adventure. 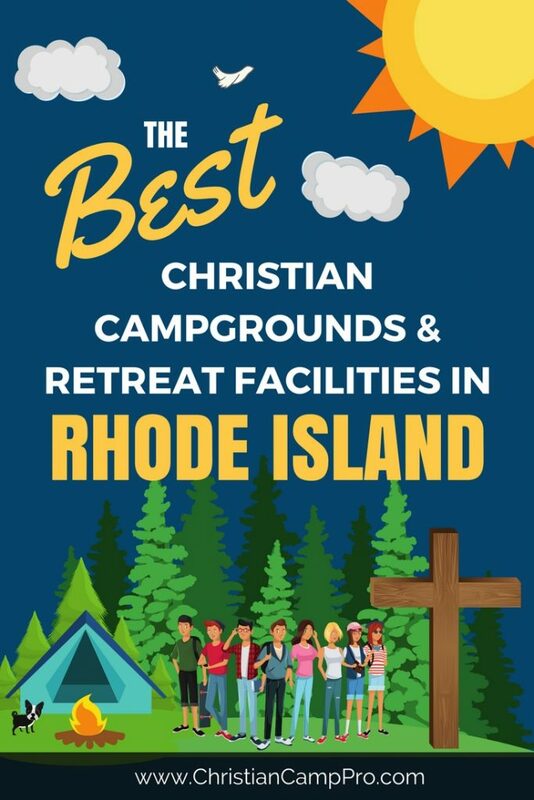 **We are actively seeking out Christian campgrounds and retreat facilities to add to this state. If you know of any please feel free to contact us. In the meantime, please visit another state in this directory.